Fresh off a highly coveted F rating from The A.V. 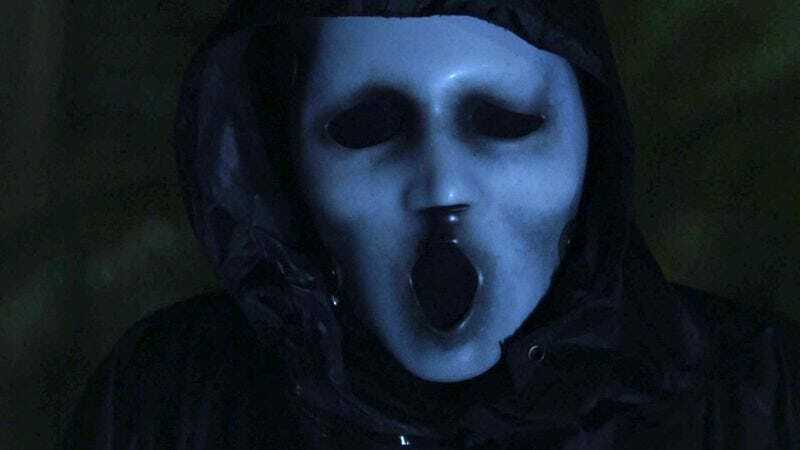 Club, MTV has decided to renew its Scream TV series for another season of frustratingly drawn-out serial killer mysteries. The show is apparently a big hit among young people, with Deadline pointing out that Scream’s same-day ratings in the weirdly expansive 12-34 demographic increase an average of 60 percent when you factor in the “Live+3” ratings—which count viewers who saw the show live and viewers who watched it up to three days later. Basically, people aged 12-34 like to watch Scream live, but they love to watch Scream a few days later. As for what we can expect in season two of Scream, executive producer Bob Weinstein promises “even more scares, surprises, romance, and, of course, kills.” Also, we don’t want to spoil season two of Scream, but the new killers will probably be Timothy Olyphant and the mother of the killer from season one—whoever that ends up being. If the show gets a third season, the killer will be Scott Foley, and if it gets a fourth season, we’ll all be pleasantly surprised.